James McElroy, co-founder of housemydog.com, was selected as the overall winner at November’s Dublin County Final of Ireland’s Best Young Entrepreneur (IBYE) competition. HouseMyDog is the leading platform for booking pet service online. Since 2015 the company has grown from a small community in Dublin to over 30 cities throughout Europe. 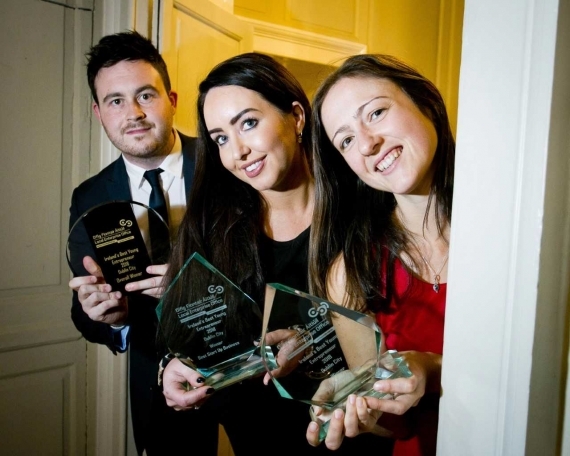 “We’re delighted to have been selected as the overall winner at the IBYE Dublin County Finals. We’re looking forward to the next phase of the competition and growing HouseMyDog to Europe’s largest booking platform for pet sitters and dog walkers” said James. Read more about housemydog.com here.